Love the wallpaper. It is so fun to go back and look at old magazines! 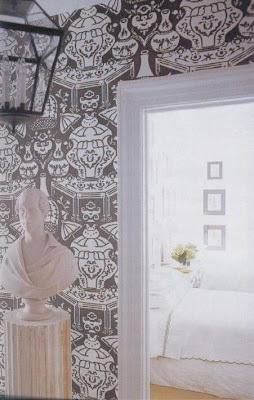 Oh I adore the David Hicks Vase Wallpaper!!! Love all of the black & white! The mirror is very cool! love it. 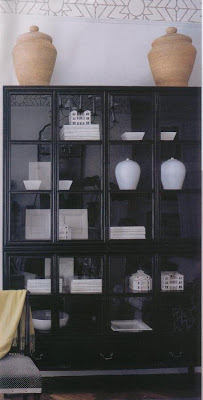 elle decor needs to go back to it's roots. these are gorgeous. This is the very reason I hate to get rid of magazines. this my husband will never understand, ha! 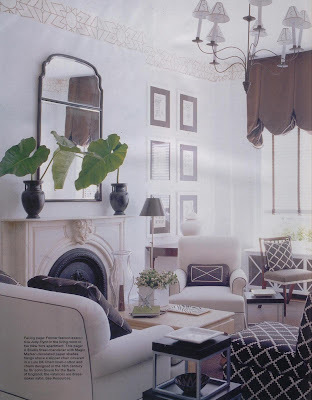 Its nice to see classic design - even 7 years later the space still looks fresh and could easily be featured in a home magazine today. Love it! Oh, and that wallpaper is a gem! I love when you do this. I'm saving all of these images immediately. They are timeless. They could have come out in this months Elle and I would in awe of them as well. A great refresher, and I was not at that time a subscriber! 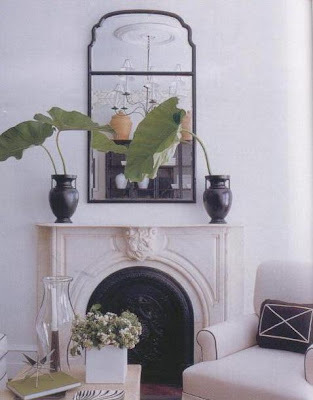 I love the mirror over the fireplace - such a classic shape. I could do without the giant leaves, though. Love the plant leaves on the mantle!! ooohh an oldie but goodie! stealing your scans now ... thanks! I LOVE when you bring back the old magazines because- despite what anyone says- I think there are still styles/rooms that are timeless. I very much appreciate seeing them!! I adore the room with the twin beds. 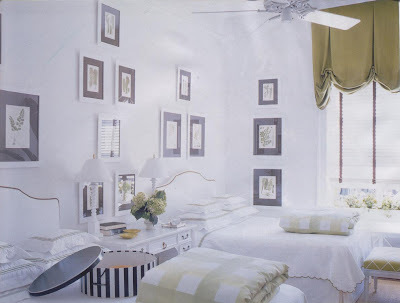 The framed pieces, the hat box, the headboards, the cute little lamps. Love. I love how fresh the black and white looks in all of these. LOVE that wallcovering. A lot.